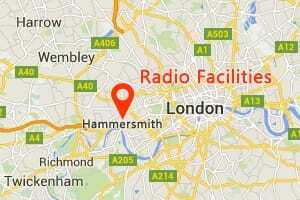 Based in Hammersmith, west London, we operate a voice studio. We also hire audio equipment. 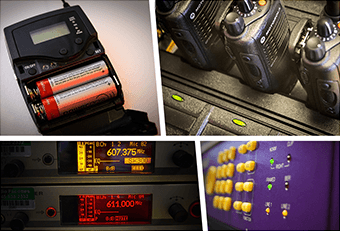 If it’s sound-related Radio Facilities can help! We hire broadcast and audio equipment to the television, radio, theatre, PR and entertainment industries across the UK. Our huge stock of equipment is ready for dispatch by courier for daily, weekly or longer rental periods. We also guarantee to be the UK’s cheapest rental company. If you receive a better quote, talk to us. See the “terms of hire” page for details. For more information about equipment hire click HERE. We provide audio services from design to completion. 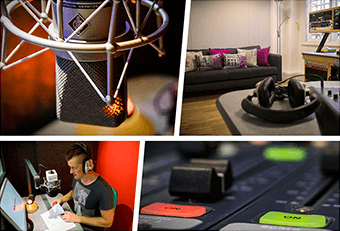 We record everything from voiceovers, audiobooks and podcasts to radio PR days and corporate audio. From our convenient west London location, we also offer ISDN connections across the UK and wordwide. In addition, we host global broadcasters and connect spokespeople to countless radio stations every month. For more information about the studio click HERE.